6 Simple Steps to Smash Your Goals: Bring on the problem-solving train! Today it’s all about smashing your goals in 6 simple steps using what I call “The Creative Problem-solving Train” model. My last blog post outlined the steps you need to take to successfully plan your goals, no matter how big or small. 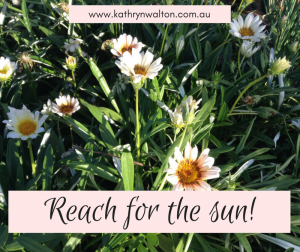 And today’s blog will help you to overcome the obstacles that can get in the way. Human brains have evolved to focus more attention and energy on the problems of life than the things that are going well. So it’s no surprise that when we start to detail the specifics of our goals, our brains start thinking about all the things that will get in the way of success. Our inner chatter gets louder and louder. It itemises the multitude of reasons why we’ll never achieve our goal. And it all too often convinces us that it’s a waste of time even trying. The key to managing this is to NOTICE that it’s happening. If you are are not aware of your inner chatter, you will unconsciously believe it and go along with it instead of challenging it. Use your powers of observation to notice what’s going on inside your head, and then consciously choose how to respond to your inner chatter. This is your window of opportunity for getting on board “The Creative Problem-solving Train” that will deliver you to your destination – your goal! 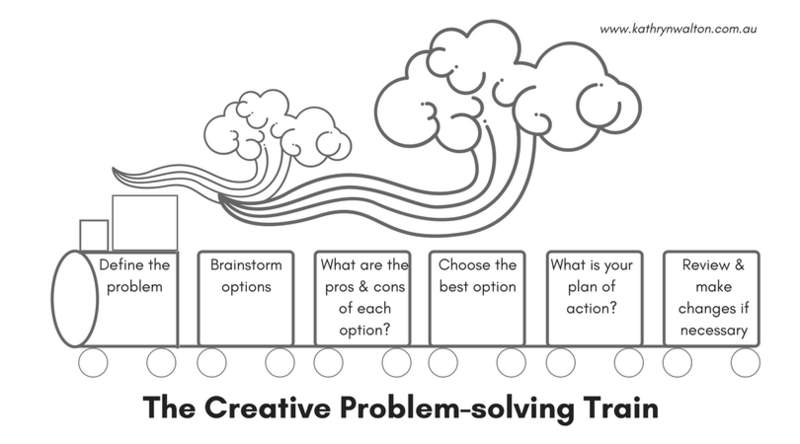 The Creative Problem-solving Train! Each carriage has a task to perform but remember to always drive the train from the driver’s carriage! This is where you get really clear about what the problem actually is so that you stay on track from the very beginning! The Creative Problem-solving Train is explained below in 6 simple steps so that you’ll smash your goals despite any obstacles, problems, barriers, issues or hurdles that arise. 1. Always start from the driver’s seat no matter how tempting it is to jump straight into one of the other carriages!! 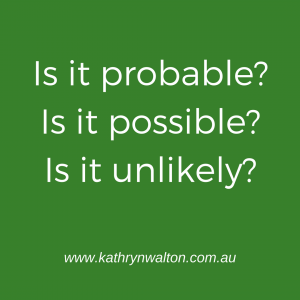 List all the ‘possible’, ‘probable’ and ‘unlikely’ problems, barriers and obstacles that might get in between you and your goal. Be honest and open with yourself and about your situation. It might seem counter-intuitive but don’t hold back. Bringing the issues out into the light of day and writing them down will DISEMPOWER THEM, and EMPOWER YOU towards your goal. If you notice an urge to deny or avoid the issues, write that down too. Shame, perceived laziness and fear are all barriers that can rob us of the opportunity as well as the joy of achieving goals. 2. Choose ONE of your ‘probable’ obstacles and brainstorm solutions to it. 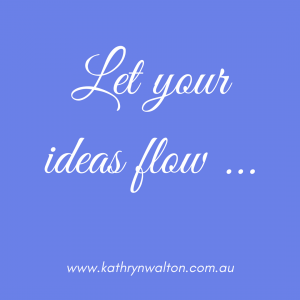 You’re not analysing your ideas at this stage so let go of the urge to find reasons why they won’t work. Remember to keep the CREATIVE in your creative problem-solving. Let the ideas flow no matter how crazy, impossible, or ridiculous they might seem. It’s often the ‘way out’ ideas that create a pathway to a solution, so get them all out there. Write them all down! 3. Now it’s time to do a quick analysis of the ideas you’ve thought of. Write down the pros and cons of each option. 4. Select the option that seems to be the best one, but don’t be overly focused on making the ‘right’ choice. Simply go with the one that seems the best in this moment. 5. 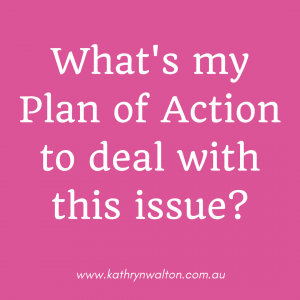 Write down your Plan of Action so that you have a clear and concise guide to implementing your selected option. 6. Review the process. Has your selected option helped to solve the problem? Does it need more time? More resources? Do you need to modify it? It’s important at this point to persist with your problem-solving rather than giving up with your goal. 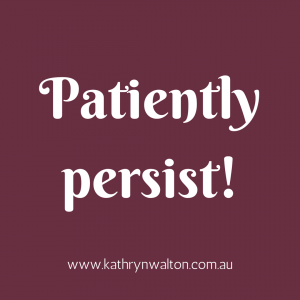 Persistence is a valuable skill that everyone can learn. It can make the difference between throwing your goal away, and celebrating success. If it’s clear that your selected option is not going to work, you can discard it and select a different one. Go back to Step Number 4 to choose a different idea and work your way through again. You might need to repeat these steps multiple times to find the best way forward. Combining two or more solutions might even be the most effective approach. You can use the Creative Problem-solving Train process to work your way through all or any of the problems you’ve identified. Before you know it you’ll have a well-rounded strategy to manage everything that stands between you and your goal. If any new obstacles surface, use the same process to deal with them. Blending creativity and logic is a powerful way to achieve success. Don’t allow your inner chatter stop you from getting started with your goals. And don’t let the obstacles limit you or your achievements. Follow the Creative Problem-solving Train to develop persistence and propel you forwards. Your mental health will thank you with improved self-confidence, resilience and unstoppability. Next week I’ll share a goal with you that I’m working on for myself. Something I’ve been considering taking on for some time but haven’t because I’ve been playing it safe! But in my heart I know that I’m holding back on myself and will be disappointed if I don’t at least give it a try. I’ll lay all the obstacles out on the table (and there are plenty of them!) and I’ll use the Creative Problem-solving Train to help me develop a strategy to deal with them so that I’ll experience that sweet taste of success that comes with achieving a goal. 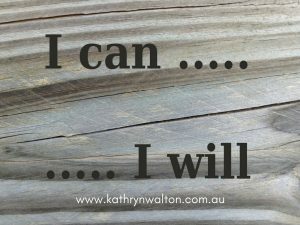 Posted on February 23, 2018 Author kwwpadminCategories Life, Taking Action, Thinking About ThinkingTags achieve, action, audit, barrier, barriers, board, brainstorm, carriage, challenge, change, choice, choose, cons, counter-intuitive, creative, decide, decision, define, definition, destination, dream, flow, focus, goals, honest, honesty, hurdle, hurdles, inner chatter, inner voice, intuition, intuitive, issues, journey, logic, mental health, obstacle, obstacles, on board, option, overcome, persist, persistence, plan, possible, probable, problem, problem-solve, problem-solving, problems, process, pros, railway, reach, resilience, resilient, review, right, smash, solution, stinking thinking, think, thinking, tracks, train, train track, travel, unlikely, unstoppability, unstoppable, wrongLeave a comment on 6 Simple Steps to Smash Your Goals: Bring on the problem-solving train! 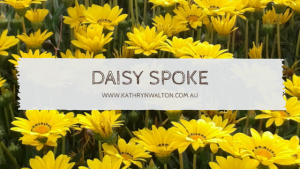 Goals, resolutions, targets, dreams, visions….. Some of us love them. Some of us hate them. It’s understandable that you might be sceptical about them. Sometimes we set plans with good intentions and end up disappointed. Life happens in all its chaotic glory and sends our plans awry, we lose sight of our intended destination and lose hope, or we become despondent with ourselves, others or the world around us. Maybe we even forget what our goal was, or our priorities change and we let it go. Perhaps we achieve our goal but the reward at the end just isn’t there, as if the goal post has been shifted, or we’ve been deceived about the expected benefits. We can doubt our capacity to achieve what we set out to. In order to protect ourselves from further hurt and wasted energy we swear never to set New Year’s Resolutions again because they just don’t work. Sound familiar? How I love goals! Let me count the ways! I love goals. I have daily lists to help me stay focused and efficient. I also have weekly, monthly, 3 month, 12 month and 3 year work goals. I’m flexible with them, and at the same time I respect them. I teach many individuals and groups how to use goals to enhance their mental health and wellness, and I see amazing progress when they are used effectively. I also use goals in my personal life. I love the sense of satisfaction, self-worth and achievement that comes with goals. Goals also nurture inner skills such as persistence, patience, organisation, and problem-solving which can be applied to all sorts of other situations in life, and can have a therapeutic effect on your mind. Effective goal-setting is a learned skill. Once you have it, the sky’s the limit! But the down-side is that if you experience a sense of failure with your goal, and if you don’t adjust your sails and use creative problem-solving, it can put you off for life. Remember to practise, persist, and problem-solve just as you would with any other skill! 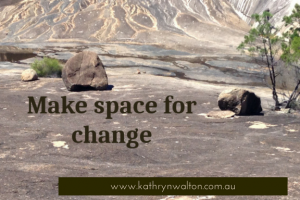 Identify one area in your life where you’d like to see some change. Select something you have some control over that centres around yourself. Focusing on things outside your control sets you up for failure. Where would you like to see a change? 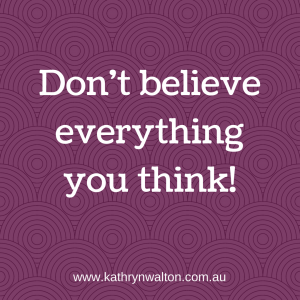 You might notice your thoughts jumping straight away to all the problems, barriers, obstacles and impossibilities associated with your desired change. For now, acknowledge your brain is doing its job of trying to protect you from failure, and try to let go of those thoughts. We’ll be coming back to them so stay focused on your desired change for now. SMART is an acronym to help you remember the key elements that can make or break your goal. S – Specific Know exactly what your goal is. Take the area you selected in Step 1 and narrow your goal down as much as possible. Keep it simple, clear, concise and specific. Vague, general statements about your goals are not helpful – they lack direction. M – Measurable How will you know when you’ve achieved your goal? If you’ve left your goal as a vague statement (eg “Get fit”) how will you know when you’ve achieved it? Being specific will help you to measure it (eg “Swim non-stop for 15 minutes”). A – Attainable Set yourself up for success! What are your expectations? Is your goal achievable? 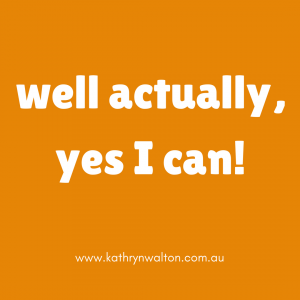 R – Realistic Are you being realistic with your goal? Do you have access to the resources and supports you’ll need? Do you have the energy to put into it? T – Time frame Set a time frame to achieve your goal. Deadlines help us stay focused. Be flexibile though so that you can make adjustments if your goal takes longer than expected. This is a really powerful action to take! Writing it down makes it more real, more tangible. Share it with others if you like, or come back and look at it yourself as a daily reminder to keep you actions in flow with your goal. It’s your personal marketing plan designed to keep you coming back again and again to what’s important to you. Motivation is a very temporary and fickle thing. It can’t be relied on. Commitment is what will keep you working on your goal whether you feel motivated or not! Why is your goal important to you? For your overall health? To keep up with your kids / grandkids? To have more financial freedom? Something else? Write your WHY down next to your SMART GOAL. It will keep your compass pointed in the right direction. Take each step one at a time. Remember all those problems your mind started to thinking about in Step 2? Problem-solving is where the power is (another blog later this month will look at this in more detail). Persistence makes all the difference between giving up on your goal (and yourself) and being unstoppable. Some of the problems will be predictable and you’ll be able to plan for them. Others less so. What will be your reward when you’ve accomplished your plan? Will it be an inner sense of satisfaction? The simple pleasure of knowing you’ve done what you set out to do? Improved energy or a sense of wellness? Or will it be an external reward like buying yourself a new set of flippers? Or perhaps entering a race? A word of caution here to make sure your reward aligns well with your goal and that you don’t self-sabotage your efforts. More on goals, obstacles and problem-solving soon! You might have guessed by now that this month’s theme is all about GOALS! Over the coming weeks I’ll be sharing with you one of my own personal goals using the 9 steps listed above. I’ll be delving into the barriers I’ve identified to achieving my goal, and I’ll share with you the not-so-secret secrets to creative problem-solving so that we can get ourselves unstuck when things get tricky. 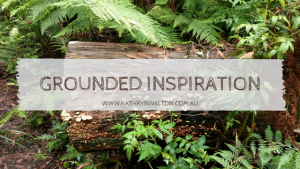 In the meantime, if you haven’t already signed up for Grounded Inspiration, now’s a great time to do that. Never miss out on the latest news, inspiration or blog posts! And be the first to hear about my new releases throughout the year as I develop and publish programs to enhance women’s wellness and professional knowledge. Sign up here!